Our June Spotlight Groups both meet at Hillside Library in New Hyde Park, New York! Fresh Fiction readers discuss recently published novels every month. The name of the group also refers to new perspectives of seasoned authors, such as Amanda Quick’s recent foray into historical fiction, as well as unique emerging voices, like Rhiannon Navin’s Only Child. They discuss everything from twisty psychological thrillers to adventure stories, plus more mysterious mystical tales, mysteries, and historical fiction. Readers ask and answer questions, developing deeper appreciation and enjoyment of fiction. Their summer book selections include Cuban Affair by Nelson Demille, Carnegie’s Maid by Marie Benedict, The Escape Artist by Brad Meltzer, and White Chrysanthemum by Mary Lynn Bracht. Page Turners read books from any and every genre, from Marie Kondo to Danielle Steel, Wilkie Collins to Jane Leavy, and more! Both nonfiction and fiction lead this group’s learning about historical figures and events, current celebrities and trends, political agendas, contemporary and past artists through conversation and sharing experiences. Their summer book selections include Hillbilly Elegy by J.D. Vance, How to Find Love in a Bookshop by Veronica Henry, The Two-Family House by Lynda Cohen Loigman, and I, Eliza Hamilton by Susan Holloway Scott. 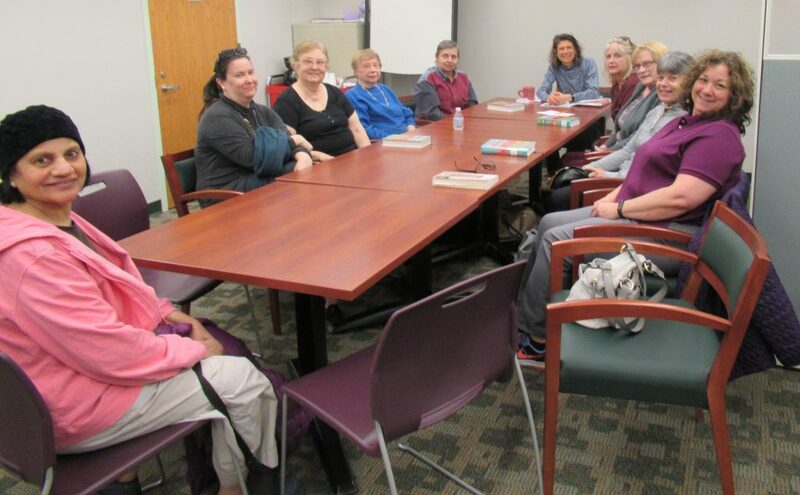 Since book discussions are open to everyone, the library has the same discussion group twice a day, one in the afternoon and one in the evening. Books for both groups are selected for format availability, since large print is becoming more popular and widely available. Some readers choose audiobooks on compact discs instead of or read with print books. Downloadable ebooks and audiobooks are also accessible via Nassau Digital Doorway.